Summit is a resource sharing service that provides access to print materials and media from 37 academic libraries throughout Oregon, Washington and Idaho. This service is available free of charge to any currently-enrolled student, staff, or faculty member (current and emeritus) with a valid UI account. Summit works hand-in-hand with your pre-existing circulation account, so no special registration is required. Summit utilizes a courier service that delivers materials within 3-5 business days. This makes it a faster and less expensive alternative to Interlibrary Loan. This is why Summit is our preferred method for requesting materials that the UI Library does not own. Summit requesting is mainly for books, although many Alliance libraries also lend special materials like DVDs and CDs. Books have a loan period of 42 days, while media materials check out for 6 days. Renewals are not allowed for any materials requested through Summit. First locate the item you want in Primo using the UI and Summit (no articles) search option. Click on the Find It tab for the desired item and sign in to your library account using your Vandalweb username and password information. If you want to check if an item is available at other Summit libraries, click on the More link. To initiate a Summit request, click on the Place Summit Request button. Select the appropriate pickup location, enter specific volume information as needed, and then select OK.
You can monitor the status of the request under your My Library account. If the request cannot be filled through Summit, you will receive a cancellation email which will redirect you to Interlibrary Loan instead. If the request is successful, you will receive an email from the circulation desk once the item is available for pickup. Off-campus patrons will have items shipped directly to them by mail. Summit materials typically arrive in 3-5 business days for all on-campus pickup locations. Off-campus patrons can expect their materials to arrive by mail within 8-10 days. Summit items are routed to the various participating libraries using a dedicated courier service. We usually receive our daily courier shipments in the early afternoon, excluding weekends and holidays. Once the UI Library receives your requested Summit item, an automated email will be sent by the circulation desk alerting you to pick the material up. The email will also indicate which pickup location your item is available at. If you need to change the pickup location for a request that has already been submitted or has arrived, please contact our office at (208) 885-6843, or by email at libill@uidaho.edu. Summit materials should be returned to the same location where you checked them out. The item needs to be returned on or before the due date, with the bookstrap or label still attached. Off-campus patrons can return Summit materials to the UI Library through the mail. However you may want to use a form of delivery that provides tracking, since you are responsible for the item until the library actually receives it. Eligible UI patrons can visit the circulation desk at any of the other Summit member libraries and ask to be adopted as a Summit Visiting Patron. You will need to present your UI Vandal Card and be able to log in to your library account to verify eligibility. Some libraries also require a second form of photo ID such as a driver's license. To set up a Visiting Summit Patron account at the UI Library, bring your library ID to the circulation desk. Staff will ask you to verify your status with your institution by having you log in to your library account. A UI Library account will then be created for you. 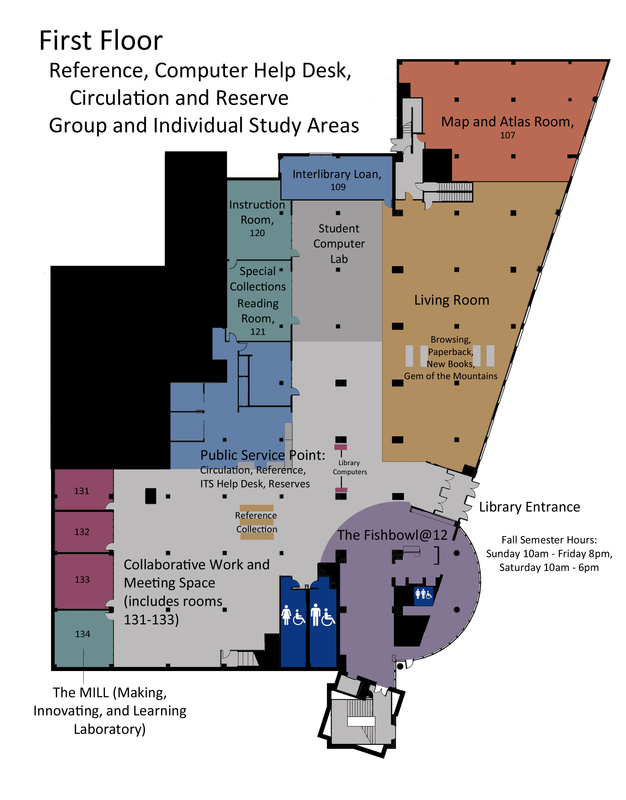 ILL is located on the first floor of the Library.